To save such important and necessary seconds in the battle this mod exist. We are introducing completely legal and official mod, which if you pressed blank button can quickly and easily repair your tank tracks. 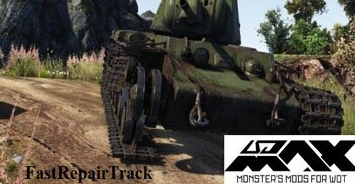 Since mod is not repair track automatic so it does not fall under the category of cheat mod, so you can safely use it.